Up to 50% off Cards, Calendars, and Photo Books. Up to 50% off Photo Books, Cards and Calendars. Buy 10 Get 10 Free Holiday Cards. Up to 55% off Cards, Photo Books, and Calendars. 40% off Cards and Photo Books. Save 30% on any order with code. With Mixbook newsletter sign up. Design choices include classic, modern, simple, elegant and more. If a tree falls in the forest – chances are, there’s a smartphone, tablet, DSLR camera, retrofitted Polaroid, Twitpic, and Instagram ready and aimed to photograph it. We live in the days of digital, and while clearly there’s no issue with capturing memories, organizing and finding ways to display them, can be a hassle. Thankfully Mixbook makes it easy and artful to share your life with great deals on photo cards, albums, scrapbooks, calendars, and more. Your experiences may be priceless but the prints from them shouldn’t be, use a Mixbook coupon at checkout and watch retail prices become a distant memory. If a picture is worth a thousand words, then all those jpegs just sitting on your iPhone aren’t saying much. Now with Mixbook, you can let your photos tell the story by using images from any digital camera, smartphone, Facebook or social media page, and photo storing site (Flickr, Picasa, etc.) to make your own memory book, stationery, calendar, or year-in-review. Mixbook gives you freedom of design – offering an endless array of creative elements including 1,000+ templates, backgrounds, layouts, texts, colors, and stickers to choose from. You can even make your photo project a group thing by collaborating with family and friends online. In addition to their famed memory books, Mixbook features a Mixblog chocked full of tutorials, display DIY, along with photography, design, and editing tips on how to point and shoot (and print) like the pros. They also offer deals on yearbooks with volume discounts for educators who want to encapsulate the moments of their school, the custom way. Additionally, Mixbook believes that sharing is caring and offers referral credit, for those who want to share both their albums and their love of the service, with their friends. 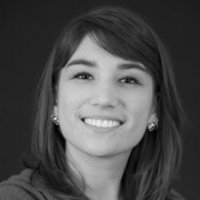 Mixbook hails from the valley of dot.coms and is headquartered in Palo Alto, California. With more than six years in the business of making real life camera ready, this innovative photo publisher sets itself apart from the rest of the startup 2.0 hype. They continue to deliver premium quality products and introduce cutting edge technology such as the newly unveiled Mosaic app, which brought printed photo books to the iPhoned masses. Life is a celebration! From new families to new beginnings to birthdays, graduation, travel, events, and all the little moments in between – Mixbook puts your pictures in their place. We here at CouponPal love reminiscing down memory lane more than anyone (especially when it’s in printed, hardbound, glossy form) and we’re bringing you the deals faster than you can hold still and say, “cheese!” Use a Mixbook coupon on your order today and start saving in a flash. Organize and display personal memories by putting your photos on photo cards, albums, scrapbooks, calendars, and more with Mixbook. Pay less for these priceless moments by using a Mixbook coupon code. Below are instructions on how to use and apply your Mixbook coupon code. After locating the coupon or deal you want to use to purchase Mixbook items, click the corresponding "Get Code" button on the Couponpal Website. A new window will pop open when you click on your button. If Couponpal is providing you with a Mixbook coupon code, copy and paste from the pop up window. Keep this window open in case you need to come back to it later. 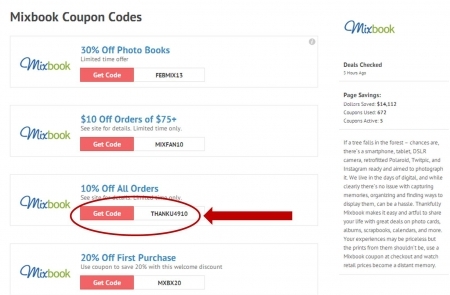 If there is no Mixbook coupon code, you will skip this step. After you have clicked the Couponpal "Get Code" button, your window will be redirected to mixbook.com. You can now browse through the category of Mixbook items you want to purchase. For example, you can click on Photo Books, Cards, or Calendars. Continue to search for the type of Mixbook item you are looking for by using the category menu options such as Everyday Photo Books, Wedding Photo Books, Travel Photo Books, Baby Photo Books, Family Photo Books, Kids Photo Books, Romance Photo Books, Education Photo Books, Holiday Photo Books, Sports Photo Books, Year in Review Photo Books, or Seasons Photo Books. Click "Start Blank Book" to get started. Then choose options such as format and size, then click "Start Book." Create your free Mixbook Account to continue. Enter your payment information and your Mixbook coupon code, then click "Apply." Photo books make a great gift for your friends and family (or a special memento for yourself.) You can commemorate important events, document travels, or celebrate a year in the life of your loved ones. Mixbook makes it super easy to create a photo book that will last a lifetime. 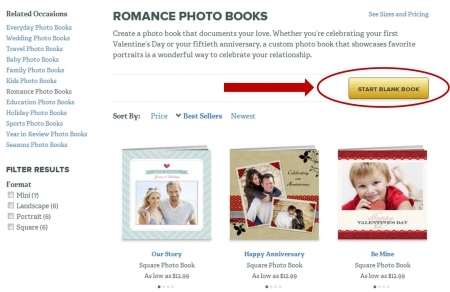 Here is a list of 5 easy steps to create the perfect photo book. Whether you’re making a wedding guest book or a family yearbook, you’re sure to find the right occasion for your purposes. There are also templates for school yearbooks, holiday and seasonal books, and baby books. Select the type of photo book you’d like to use. 2. Select a format and size. There are several formats and sizes you can choose from when making your photo book. You can select a Square, Portrait, Landscape, or Mini photo book, depending on what you like. Then, choose a size; there are many options including whether you’d like a leather or hard cover for your book. Go through your favorite photographs or images and select ones you’d like to use. Mixbook will provide you with detailed directions on how to upload your files. Arrange the pictures on each page; the design is completely up to you! Text can add a little something extra to your photo books. Including the date or the names of certain individuals will help people remember the exact memories when they look at the book, even if it’s years later. 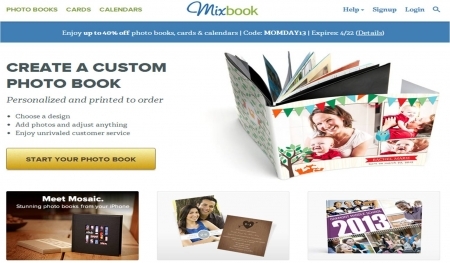 Mixbook will give you the option of previewing your whole photo book before you complete your order. Rearrange any pictures or settings you’re unhappy with. The final step is to finalize your layout, and enter your shipping and payment information at checkout. It’s important to capture important memories, so rely on Mixbook to help you create the perfect photo book. Don’t forget to use your Mixbook coupon code to mix up some exciting savings!